The Larson Electronics EPL-SL-10-50X-150LED-RT-IBC-277V Explosion Proof 1500 watt Cree LED String Light set is approved Class I, Divisions 1 & 2, Groups C and D and Class II, Divisions 1 & 2, Groups E, F, and G and is ideal for inspection activities and temporary illumination in hazardous locations requiring explosion proof protection. This daisy chain temporary lighting system provides 175,000 lumens and comes equipped with individual I-beam mounting brackets per light head, allowing for flexibility within the job site. This explosion proof string light set from Larson Electronics contains a total of ten 150 watt work lights equipped with I-beam mount clamps and connected in series along 500` of 10/3 SOOW cable. The 150 watt LED lights are evenly spaced at 50 foot apart along the 500` feet backbone and junction together with 50` of cable between each light. Each light has a 3-foot whip back to the main backbone. The cord on this unit is terminated with a 277V Class 1, Division 1 explosion proof 3-pole 4-wire pin and sleeve plug for complete protection. With this arrangement, each drop light cannot spark if pulled apart or dragged. A 50` foot tail section of main SOOW cord is included to allow ample length for connection to power sources. This stringer light set is Class I, Division 1 & 2 rated for Groups C and D and Class II, Division 1 Groups E, F, and G. This light is universal voltage capable and can be operated with 277V AC, 50/60Hz. This explosion proof LED light fixture is IP67 rated, dust-proof, and protected against high pressure jets and temporary submersion. 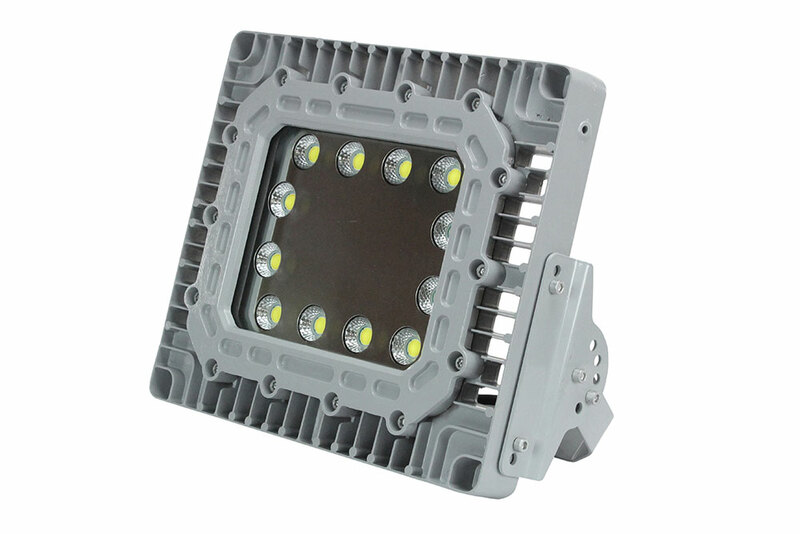 The cast aluminum body and LED lamp give this light excellent durability and resistance to vibration and impacts. 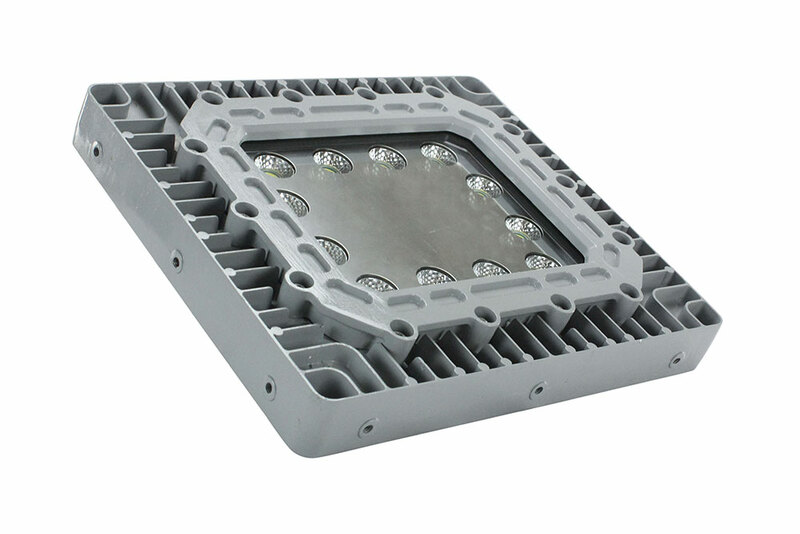 The housing is specially designed to dissipate heat which increases the efficiency and lifespan of the LEDs and electronics.